KWCTU-대한기독교여자절제회 - Greetings from Vanuatu! I am going to share the activities of Vanuatu WCTU and our prayer topics. and on the related subjects of alcohol, smoking, Kava, and sexual issues, discussing them with one another. 2. In April, we organized a workshop on alcohol, smoking, Kava, at the Easter Camp for the youths, where 200 young people attended. 3. 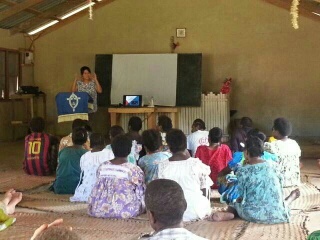 In June, At the Camp of Bluinda Sunday School, where 80 students attended, we led an awareness seminar on alcohol and smoking for the high school students. 4. 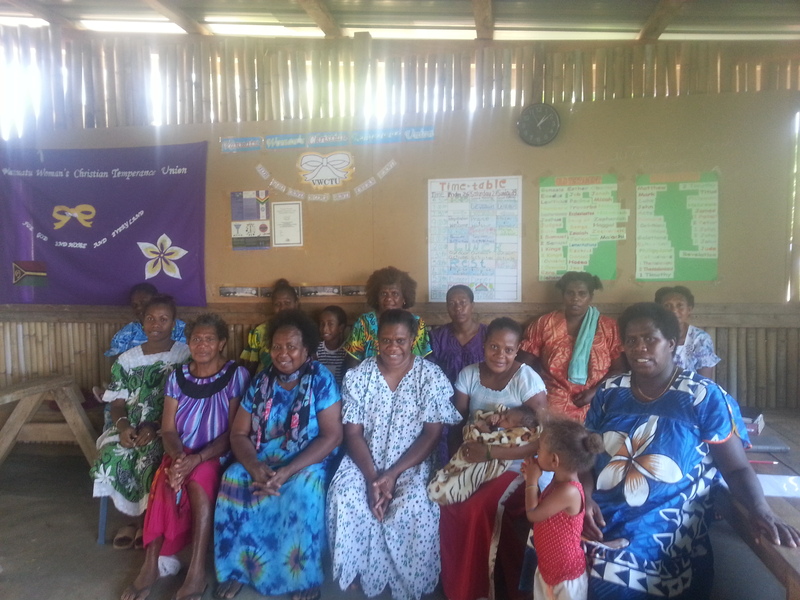 In July, at an event which celebrated the Independance Day of Vanuatu, we opened a shop and sold children's clothes, sent by KWCTU, raising VWCTU fund, around 450 dollars, and shared the VWCTU pamphlets to promote the temperance work of the VWCTU. 1. Since the end of last year, marihuana suddenly has been spread even in the deep countryside among the youth. To our surprise, in our church, we hear news that church youth started to smoke marihuana out of curiosity. as we have started to study on marihuana for several months on its harm on human body, with prayers. 2. 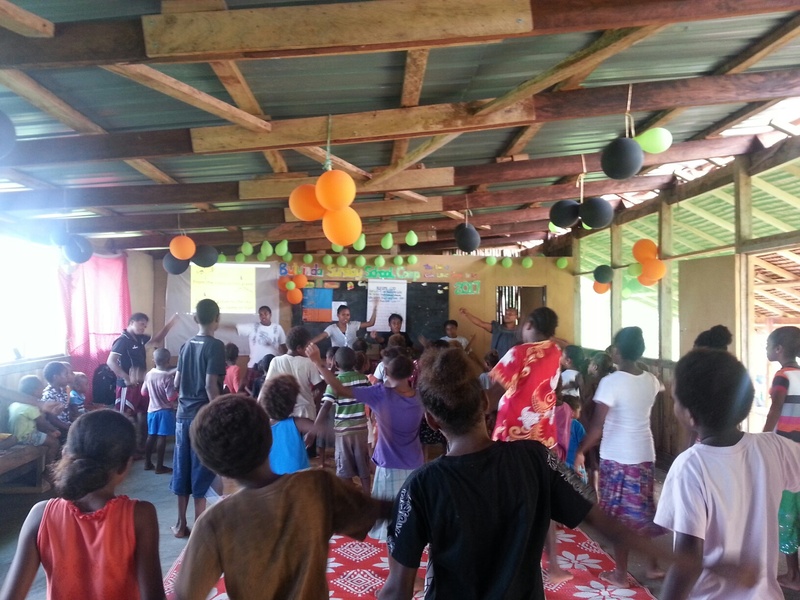 From August 27 to 31, the Vanuatu Presbyterian Church will hold its General Assembly, where VWCTU plans to introduce VWCTU and also open a shop to raise fund. 3. Until the end of 2017, we are going to register VWCTU as an NGO member at Santo Council. Elizabeth Moli Doro Doro is preparing the application. 4. For the next semester, VWCTU sent out formal letter to public schools in order to hold an Awareness Seminar of Alcohol, Kava, and Marihuana. Until now, I have led such seminars, but from now on, we start to train the native members of VWCTU to lead such seminars. The members' attendances being still irregular and small in numbers, we still try our best to educate and pray to move on and organize seminars on the drug-free life, continuously. We thank you for your remembering us in your prayers. I am attaching four photos of our activities.